On Monday, June 18, President Trump boldly proclaimed that Germany has experienced a rise in crime as a result of increased migration levels. But as it turns out, that’s not true. In fact, last month, Germany’s interior ministry reported record-low crime levels. Civics Lesson: Crime Levels in the U.S. 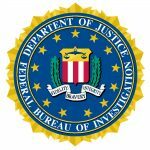 According to statistics compiled by the FBI, the U.S. violent crime rate declined by 48 percent between 1993 and 2016. However, as the Pew Research Center points out, the public’s perception of crime usually doesn’t align with the data. German Chancellor Angela Merkel was quick to point this out when reporters asked her about Trump’s tweet. “My answer is that the interior minister presented the crime statistics a short while ago and they speak for themselves,” Merkel responded. But that didn’t stop the American president from pushing his fallacious narrative. 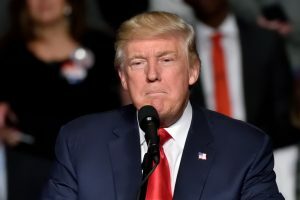 On Tuesday, June 19 (one day after he falsely claimed that crime in Germany was on the rise) Trump continued to assert that the country was experiencing a spike in illegal activity. Civics Nation was unable to verify Trump’s claim, as the president did not cite the source of his information.